Excellent service at the highest musical standards. 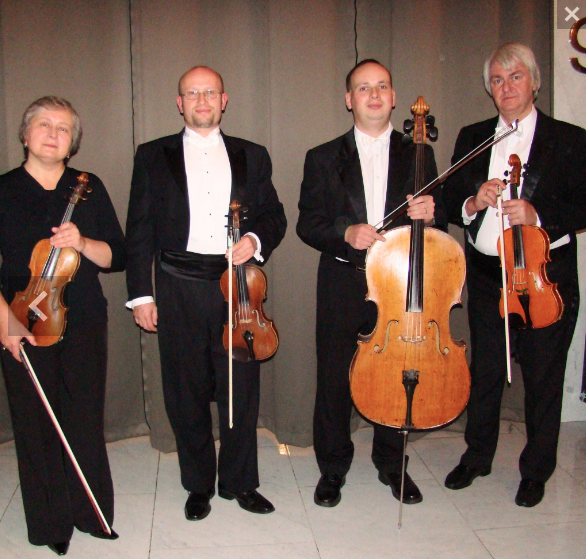 Welcome to the Canterbury String Quartet, the Christchurch based, premium string quartet. We will work with you to make your wedding or function a special and memorable occasion. All our players are accomplished professional musicians with degrees in music and players of the Christchurch Symphony Orchestra. With many years of performing experience internationally and in New Zealand we can provide excellent service at the highest musical standards. Our repertoire covers a huge range of great music to suit any accasion. We can perform in any venue or setting such as a church, vineyard, luxury lodge, private residence, garden etc. *A sound system is provided by this artist that can support an audience of up to 50 people. DGM can provide a larger sound system to support your event if required.